Hold onto your hats PR fans, today's coverage round-up is a tripple whammy! That's right three for the price of one. 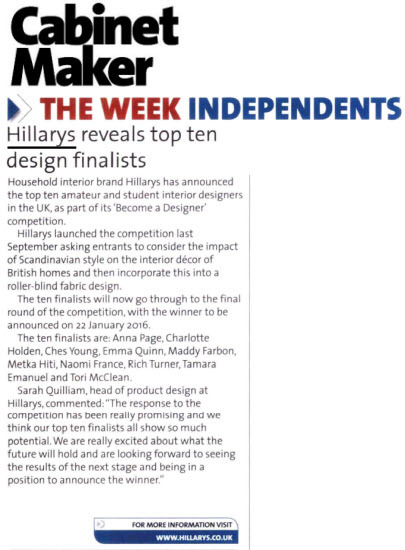 First up, our blind specialist Hilary's have been covered in Cabinet Maker for their top ten designer finalists, who were revealed this week. Next up is the money saving gurus Vouchercloud, who have been covered on Yahoo for research on men having periods. 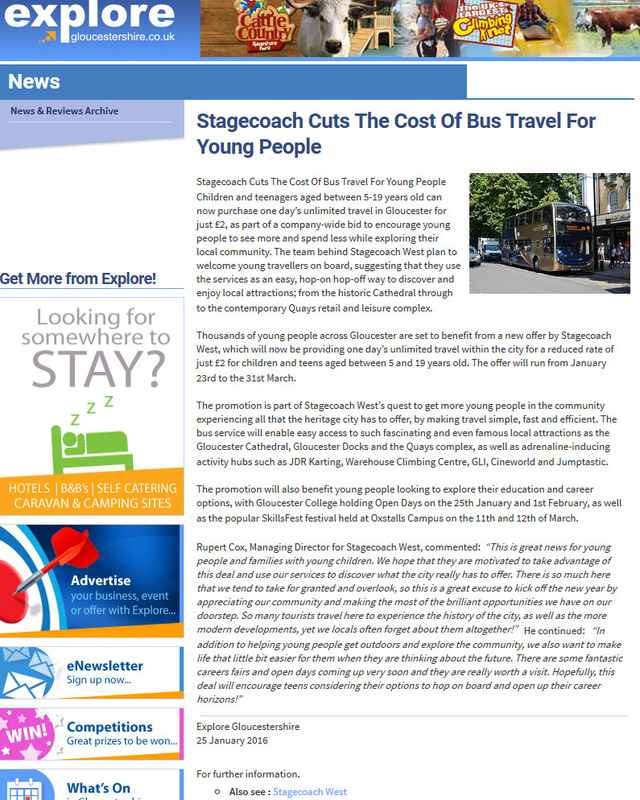 Last, but certainly not least, is our local client Stagecoach West. The bus service provider have announced a new dayrider ticket offer for passengers under 19. This was covered on SoGlos and Explore Gloucestershire.